Mumbai: In yet another attempt to attract foreign capital into India and stem the fall of the rupee, the country’s central bank, the Reserve Bank of India or RBI on Wednesday allowed external commercial borrowings, or ECB, up to $500 million (Rs2,465 crore) per year under the automatic route for rupee or foreign currency expenditure by local firms. The Indian government on 23 September raised the overseas borrowing limit to finance their rupee expenditure fivefold to $500 million in a move to provide easier access to funds for infrastructure firms. This has now been extended to firms across sectors, and put in the so-called automatic route, making the approval of the regulator for such loans automatic and cutting down the procedural delays. The new norms take effect immediately. 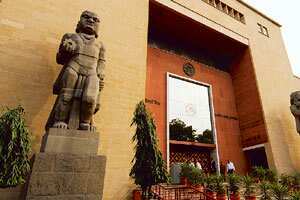 RBI also allowed ECBs for making payments for 3G spectrum licences, a move that will help telecom companies. Liberalizing the procedure for bringing ECB proceeds into India, RBI has allowed borrowers to keep the money with Indian banks abroad, or remit these funds to India for credit to their rupee accounts. However, the rupee funds cannot be used for investment in capital markets, real estate or for inter-corporate lending, RBI said in a late evening statement. Currently, proceeds from ECBs have to be parked overseas until required in India and can be invested only in certain liquid assets. In view of the tight liquidity conditions in the international financial markets, RBI has also raised the cost of borrowing for such foreign loans. It has raised the limit of all-in cost to 300 basis points over the six-month London interbank offered rate or Libor, an international benchmark rate, from 200 basis points, for three- to five-year ECBs. For more than five-year overseas loans, the limit has been raised to 500 basis points over six-month Libor, which is currently pegged at 370 basis points. Last month, the government had allowed firms to borrow abroad on costlier terms, recognizing the shrinking levels of global liquidity. At that time, it had raised the cost of seven-year loans to 450 basis points over six-month Libor, from 350 basis points. Apart from relaxing ECB norms, RBI has in the past fortnight cut the banks’ cash reserve ratio which determines the money that commercial banks need to keep with the central bank by 250 basis points, releasing Rs1 trillion into the system. It had also cut the policy rate by 100 basis points.